This Personalised Arrow Heart Photo Frame Keyring is the perfect gift For your loved ones. This beautiful heart shaped keyring is a perfect gift for anniversaries, weddings, birthdays, valentines and engagements. Personalised with two names of your choice and an arrow underneath, this photo locket is perfect for your girlfriend, boyfriend, husband or wife. A thoughtful keepsake for your other half or a cute couple to treasure, this keyring is sure to put a smile on their face each day! 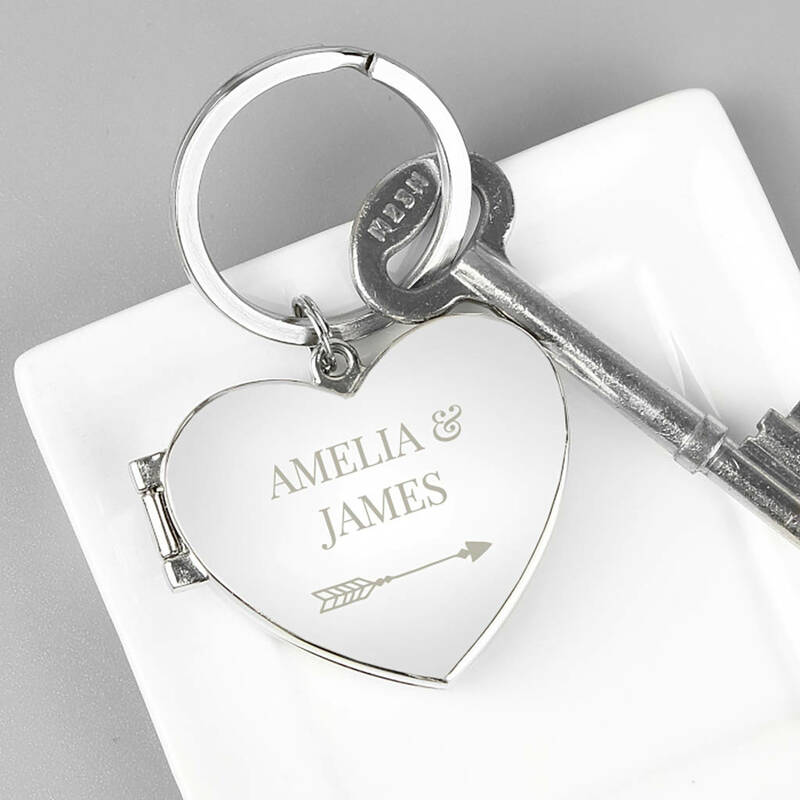 Personalise this silver finish Heart Shaped Photo Keyring with two names, with up to 12 characters per name. Please enter the & symbol where required. The keyring can hold 2 images sized 1.6" x 1.2"
The keyring is nickel plated. This product is dispatched to you by Sarah Hurley.